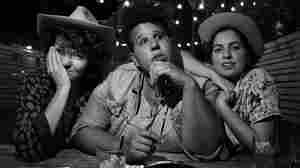 September 6, 2017  Brittany Howard, Becca Mancari and Jesse Lafser share songs and trade harmonies in arrangements built to recall late-night sessions on the back porch of a dive bar. 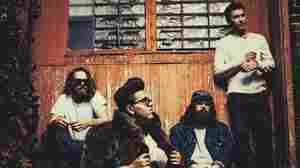 July 5, 2017  The new group, which also features Jesse Lafser and Becca Mancari, will make its live debut July 12 in Nashville. 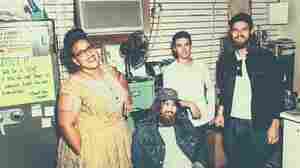 May 18, 2017  For the PBS documentary series American Epic, Alabama Shakes' members used 1920s-era equipment to record a cover of "Killer Diller." January 28, 2016  Howard was raised on her father's junkyard in the small town of Athens, Ala. "It was a really interesting way to grow up," she tells Fresh Air. 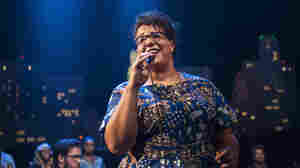 December 30, 2015  Watch Brittany Howard and band lay into the heady soul ballad "Joe" at their headlining ACL performance, in advance of the show's 41st season premiere. December 16, 2015  You voted! We counted! 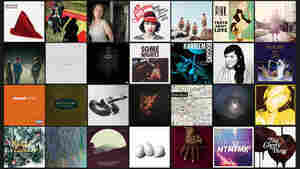 Here are the results of our 2015 Listener Poll for the year's best albums. September 8, 2015  This week's show is split much like some of our favorite records: The A-side is loud and fast. The B-side is slow and quiet. June 29, 2015  We'll call it in the air: 2015 is going to end up being a great year for music. 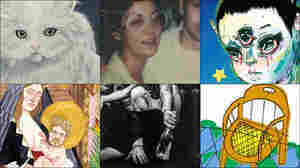 Here are 25 albums we fell in love with over the year's first six months. 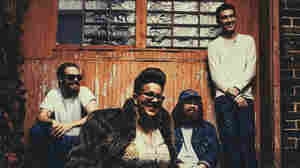 April 12, 2015  Brittany Howard and her band develop a vision of rock, blues and Southern soul that reaches high but remains practical in its reclamation of what works. April 20, 2015  On their new album, the band's backing musicians match the intensity of lead singer Brittany Howard. April 18, 2015  "I like all kinds of music, and nobody ever told me you gotta pick one, so I never did," lead singer and guitarist Brittany Howard says. 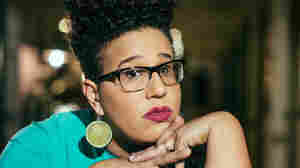 April 15, 2015  Watch Brittany Howard and her crew perform a First Listen Live of their new album, Sound & Color, for a small crowd of KCRW fans at Apogee Studio in Los Angeles. February 17, 2015  Hosts Bob Boilen and Robin Hilton share their favorite new songs and discoveries of the week, including new music from Sufjan Stevens, Alabama Shakes and the poet-turned-rapper Kate Tempest. February 10, 2015  Hear the foursome dig into music history, touching on psychedelia, punk, gospel, soul and more. 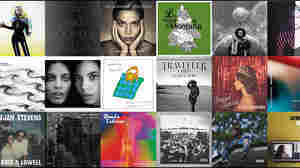 June 25, 2012  The NPR Music team presents its 25 favorite albums from the first half of 2012. 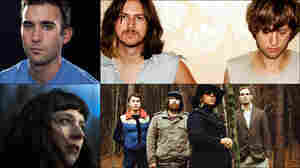 Highlights include records by rockers Jack White and Sharon Van Etten, pianists Jeremy Denk and Vijay Iyer and debuts from Alabama Shakes and Exitmusic. 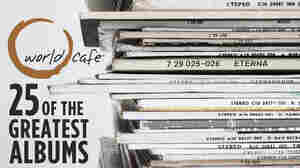 January 1, 2013  David Dye has been hosting WXPN's World Cafe for more than 20 years. With new artists performing in the show's studios every day, Dye gets to witness firsthand the best music each year has to offer. 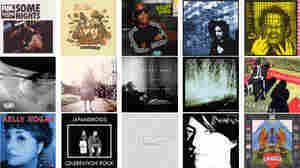 Here are his picks for 2012's finest. 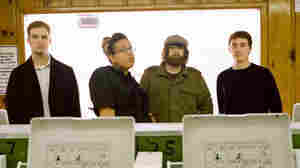 December 31, 2012  Hear the rock 'n' roll quartet perform its enthusiastic, soulful songs live in the studio. July 29, 2012  In concert, the soulful blues-rock band's music reached ecstatic, rafter-shaking heights. 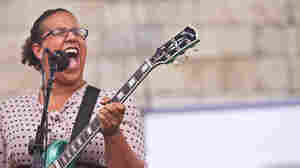 Singer Brittany Howard has the bearing, power and charisma of a star twice her age. 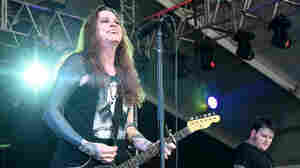 April 11, 2012  The band, which combines rock with bluesy soul, has been compared to Janis Joplin and Otis Redding. 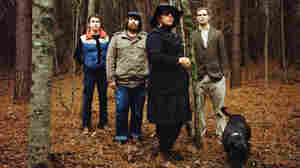 Audie Cornish speaks with singer-guitarist Brittany Howard and drummer Steve Johnson about Alabama Shakes' new album, Boys & Girls.